Kasturi undoubtedly captures the true essence of the food of the Indian sub-continent. Not only do they serve delicious and authentic Indian dishes but also health-conscious customer will be happy to learn that Kasturi specialises in the Pakhtoon cuisine. The essence of this cuisine is in the preparation of kebabs, curries, and birianies, which utilises juices of meats and vegetables in the cooking process. The Dinning room is elegant and comfortable, and you can be sure of a warm, welcoming atmosphere and wonderful service. The food however is the real Lure! Winner of the best Chef Awards 2005 and the top best 30 Indian restaurant in the U.K. Awarded by British Curry Award 2005. Thumbs up then for Kasturi, where else in London city will you find exceptional and subtly flavoured Indian food and all for very reasonable prices and with no added service or cover charge. This award winning restaurant has received many positive reviews from the most prestigious food and drink publications. Kasturi also specialises in Group Dinners, Corporate Events and Catering. 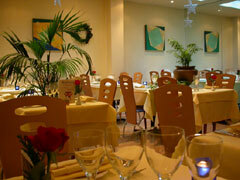 The restaurant can comfortably cater for parties of up to 50 people. Kasturi is a refreshing change from the usual Curry and Tikka Masala made with ghee. The food of the Pakhtoon region uses vegetable oil instead, and most of all, utilises the juices of the meat and vegetables, to cook with.